LONDON – Few writers know Hollywood better than my Canadian friend Ron Base. As a reporter, film critic, magazine writer, screenwriter and novelist, he has explored the magic of the movies in many ways. But Toronto-based Base knows his history too and his new novel, “The Strange”, published by West End Books, combines the mystery and marvel of grand cinematic adventures with a taste for the glamour and mystique of 19th century Vienna, London and most especially Paris. 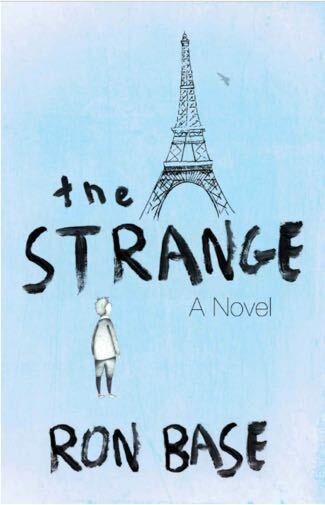 Like the best storytellers, Base in “The Strange” leads you to somewhere you thought you knew, in this case Paris, and reveals it to be even more magical and enchanting than you could possibly have imagined. It’s a tale of cunning and deception with intrigue, high adventure and vivid characters including a future King of England and the man who built the Eiffel Tower with a plot as tasty and satisfying as dinner at the Ritz. His tale is of a 14-year-old Parisian orphan named Ned who has the strange gift of kinetic powers. Lost and alone, he becomes ensnared in the machinations of a fascinating woman named Mrs. Nevermore, who has mysterious powers of her own along with a penchant for larceny on a big scale. Base takes time to draw a colourful ensemble of weird and wonderful characters as he slowly reveals a gambit by Mrs. Nevermore that involves an attempt to sell the Eiffel Tower to England’s Prince of Wales. There is much mischief and mayhem along the way leading to an explosive and highly entertaining climax. As he showed in his splendid Hollywood novel “Magic Man,” Base has the considerable gift of writing about magical things with a childlike sense of wonder. It’s a great relief from the forced hardboiled approach of many popular authors and makes “The Strange,” as intelligent and eldritch as it is, an appealing read for all ages. There are two book launches at which Base will sign copies of his novel, first tonight at P. J. O’Brien’s Irish Pub in downtown Toronto and on Sunday at 133 Mill Street in Milton, Ontario. This entry was posted in Books, Reviews and tagged 'Magic Man', 'The Strange', Ron Base, West End Books. Bookmark the permalink.